This is a quick guide to using Leiningen to build applications that use Incanter, based on the very useful post by Zef Hemel, “Building Clojure Projects with Leiningen“. Now create a project directory called ‘incanter-helloword’ and give it a ‘src’ subdirectory. :description "The Incanter version of hello world." 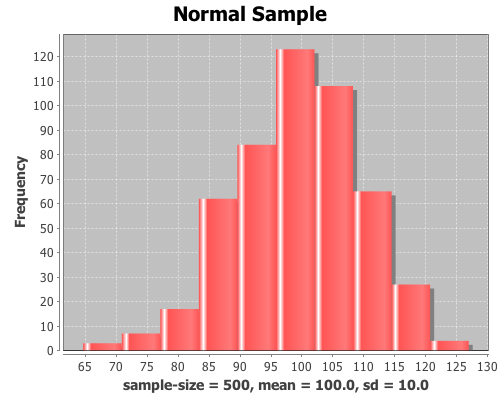 The program will display a histogram of sample data from a standard normal distribution. 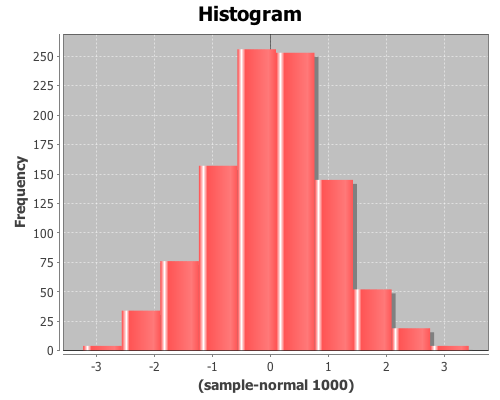 which displays the following histogram. The lein repl command won’t work correctly, since it uses Clojure 1.1 and Incanter requires Clojure 1.2. You can also use the repl and swank scripts available in the scripts directory of the Incanter distribution on Github.